In the days of the frontier West, it was not unusual for desperadoes and fugitives from justice to seemingly disappear from the face of the earth. 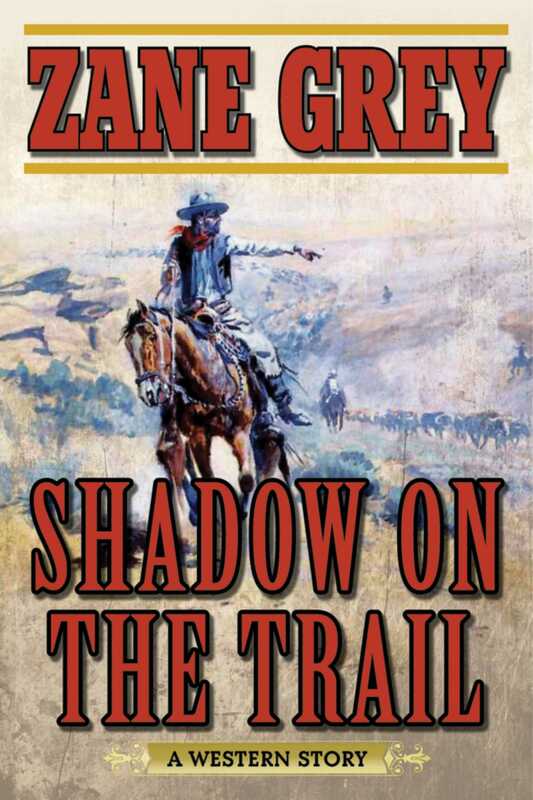 Shadow on the Trail by Zane Grey, one of the bestselling authors of all-time, is the story of one such man who returned to reestablish himself in a law-abiding society. In Texas, young bank robber Wade Holden, once the toughest, fastest triggerman in the notorious Simm Bell gang, makes a promise to his dying mentor that he will go straight. He is tired of shooting, riding, and fighting. All he wants now is to settle down on the ranch for a nice peaceful life. But with the Rangers on his tail, he struggles to find sanctuary. With the help of a young woman and her family, he attempts to turn his life around in Arizona.